The Force of Five is made up of five young kids who practise Muay Thai kick boxing with their teacher Master Lek. The youngest of the group is fatally ill, luckily for him some other child is brain dead and his heart is up for grabs! Cine-Asia are preparing their next release from Thailand, with the success of “Raging Phoenix” and with “Merantau” being released in the next few weeks, Force of Five is now due for release. Force of Five is also known as Power Kids, this time the adrenaline is provided by two high kicking teenagers! 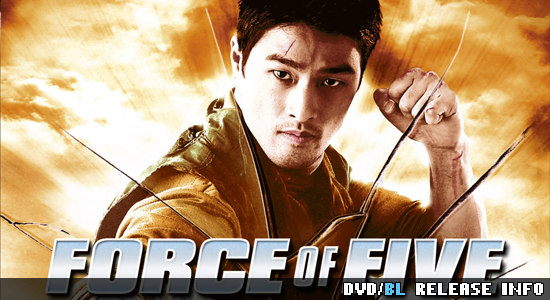 Force Of Five (rated 15) will be released on DVD (£17.99) and Blu-ray (£24.99) by Cine Asia on 5th July 2010. Special Features include: Interview Gallery; Making of; Behind The Scenes; Original Trailer; Dolby Digital Thai 2.0 and 5.1 (DVD); DTS HD MA Thai 5.1 (Blu-ray); English Subtitles.